Take your living space from comfortable to cozy with a decorative gas stove from Breakaway. Breakaway carries a wide selection of efficient, design-friendly gas stoves that will bring extra warmth and style to any room. 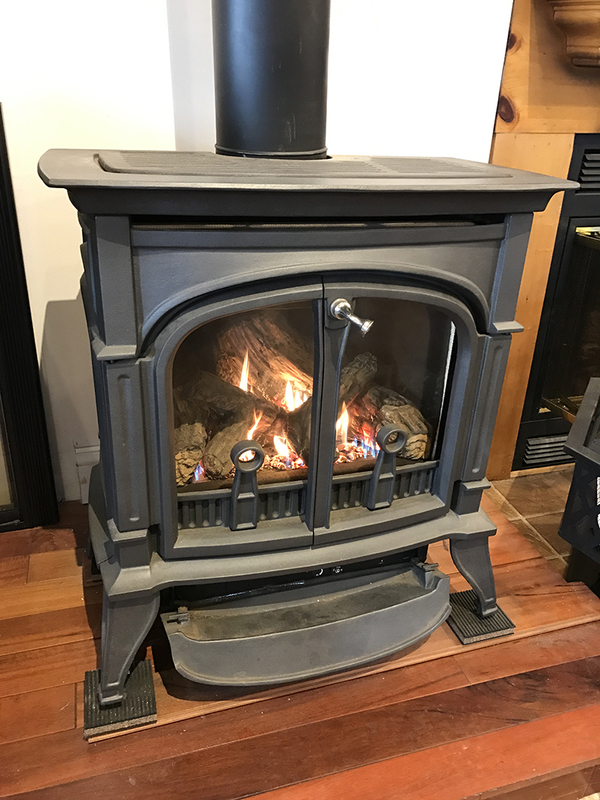 Whether you are looking to replace your current wood stove or add a completely new piece to your home, we’ve got you covered. Stop by our South Dennis, MA or Mashpee, MA stores to see why Breakaway is the top destination for affordable gas fireplaces, hearth products, and gas stoves on Cape Cod. Decorative gas stoves can put off a considerable amount of heat. Square footage of heat reach depends on the brand and model. Using your decorative gas stove during the coldest months can also help offset your central heating system. From traditional to modern, our gas stoves can accentuate the décor of any room. Models with glass windows allow you to enjoy the ambience of a crackling fire without the open flame of a traditional fireplace. Your gas decorative stove can be connected to your home’s existing propane or natural gas supply. No more worrying about loading wood or running out of fuel! Modern decorative gas stoves come with special features for added control of stove temperature. Breakaway offers several gas stove brands, including Dutch West, White Mountain Hearth (Empire), Iron Strike, Napoleon, and Monesson. Interested in adding a decorative gas stove to your Cape Cod home? Visit one of the Breakaway store locations or call 508-398-3831!